Prince William and Kate Middleton are headed to Canada. 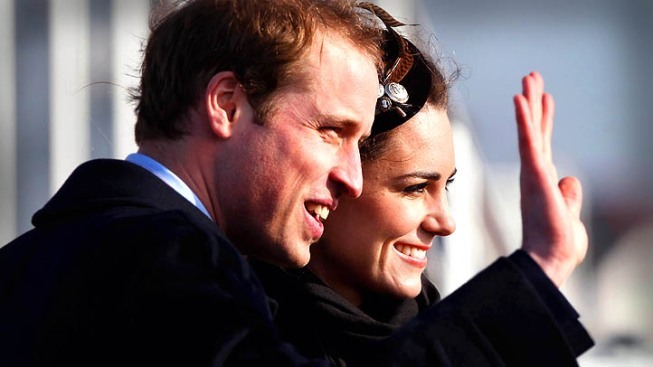 Newlyweds Prince William and Kate are heading to North America and on Monday the royal press office released a schedule of the couple's upcoming trip. The couple will visit a total of eight cities as they travel through Canada between June 30 and July 8. Between June 30 and July 2, William and Kate will visit Ottawa, Ontario, and Gatineau. They will move on to Montreal on July 2. From there, the couple will head to Québec City on July 3. They will then stop at Charlottetown, on Prince Edward Island, from July 3 to July 4, and Summerside, Prince Edward Island, on July 4. The couple will move on to Yellowknife, in the Northwest Territories, from July 4 to July 6, before moving on to the 1988 Winter Olympics host city, Calgary, from July 6 to July 8. As previously reported on AccessHollywood.com, Prince William and Kate will visit Los Angeles between July 8 and July 10. This will be Kate's first trip to North America. PLAY IT NOW: The Obamas Meet The Royal Couple!